Help feed our hungry neighbors by hosting a food drive. Whether you’re collecting canned goods at a school or organizing a traditional food drive in your community, every donation makes a difference. If you want to make even more of an impact, consider a Virtual Food Drive. Baltimore: Monday – Friday, 8 a.m. – 2:30 p.m.
Eastern Shore Branch: Monday – Friday 9 a.m. – 3 p.m.
Western Branch: Tuesday from 8 a.m.– 12 p.m., Wednesday from 10 a.m. – 2 p.m. and Thursday from 12 to 4 p.m.
Every dollar donated to your Virtual Food Drive will go much further thanks to our wholesale buying power. It’s completely free and takes a few minutes to set up. You’ll receive a unique Virtual Food Drive page that you can customize and share with your friends and family. Hosting a food drive just got a lot more fun. Who will be participating in your food/funds drive? Are you also running a virtual food drive? 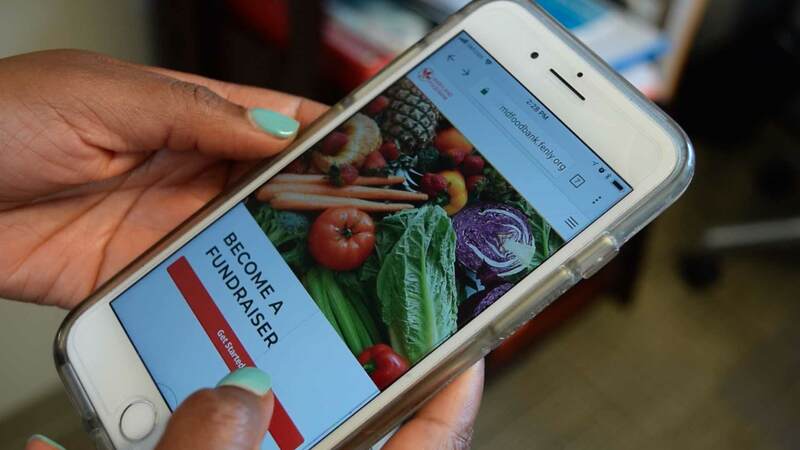 Empower your community to help hungry Marylanders in just a few clicks.